Our challenge continues with introducing a park that is very special to us. 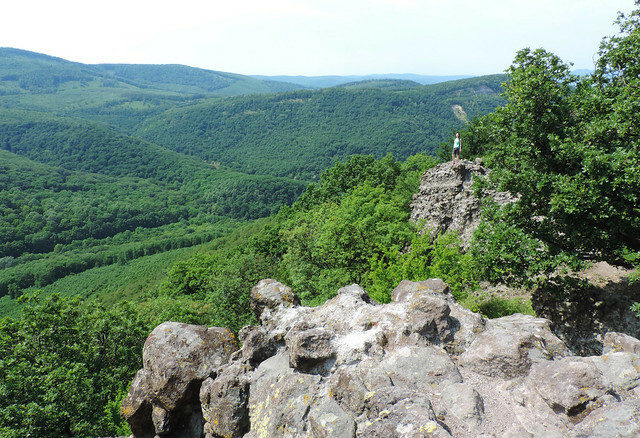 Danube-Ipoly National Park is the one we know the best of all the national parks in Hungary. When a day starts with ‘Oh, the weather is so nice, let’s go for a hike!’ then it usually continues on one of the trails in Danube-Ipoly National Park. The explanation for its name is that this area is the drainage basin of two rivers: River Danube and Ipoly. River Danube is Hungary’s largest river and Ipoly is right on the Hungarian-Slovak border. 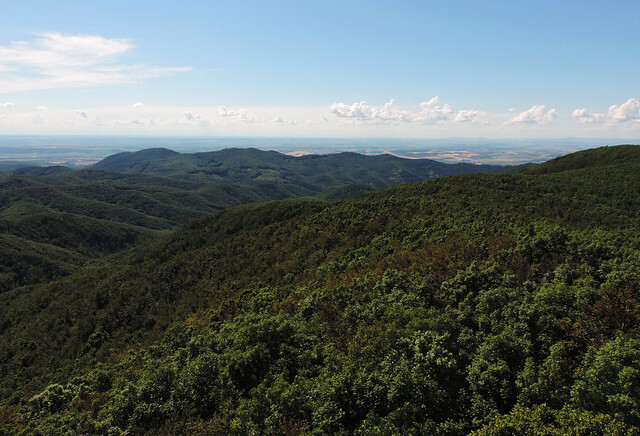 As most of the mountains in Hungary are covered by forests getting views of our surroundings is not straightforward at all due to the trees. Most trails offer one or two viewpoints – a few of them are natural but most of them are platforms or towers rising above the trees. 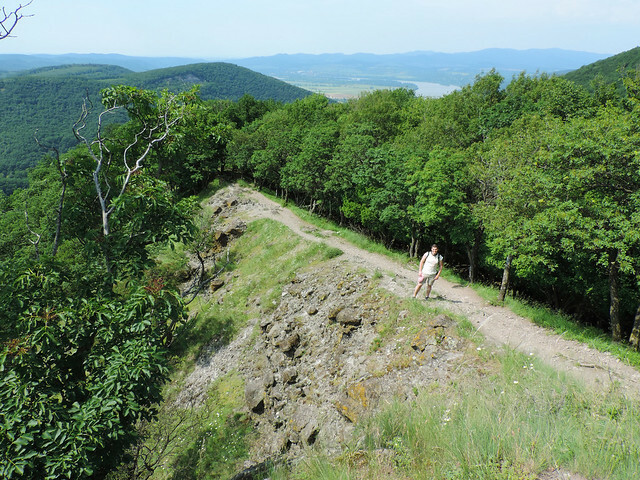 The trail towards Prédikálószék in the Pilis Mountains is a rare example of a trail with pretty panoramas almost all the way. At last it leads to the prettiest panorama of all: view of the Danube Bend (Dunakanyar in Hungarian). 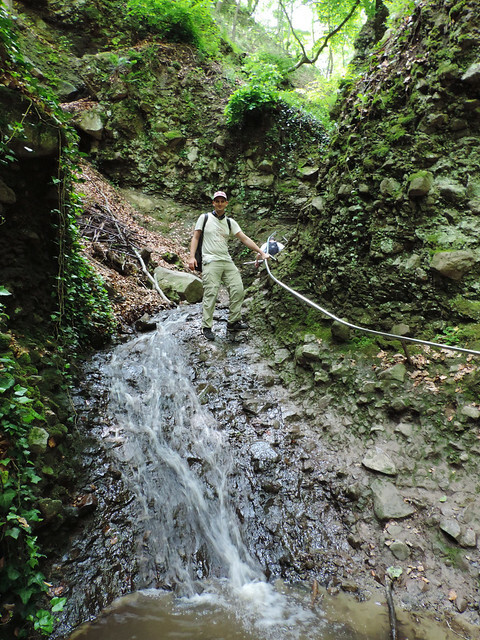 No wonder, this trail is our favorite in Hungary. It starts in a small village called Dömös. Trails in Hungary are marked with different colors and shapes that are painted on the trees or rocks. The red triangle sign leads you to Prédikálószék and we could find the first signs in Dömös around the church. Several paid parking lots are also located around the church so it’s easy to notice. The red triangles then soon led us out of Dömös and into the forest. Then comes a steeper section that continues on the mountain ridge and that’s where we got our first beautiful views over Pilis and its surroundings. Some interesting rock formations stand guard on our way through this ridge. (This section is called Vadálló-kövek in Hungarian.) The trail ends at the viewpoint at Prédikálószék. A tower has been recently built there to allow visitors to get a 360 degrees panorama of the Danube Bend and the Pilis Mountains. Prédikálószék is our favorite hike in Hungary but Rám-szakadék is a close competitor. 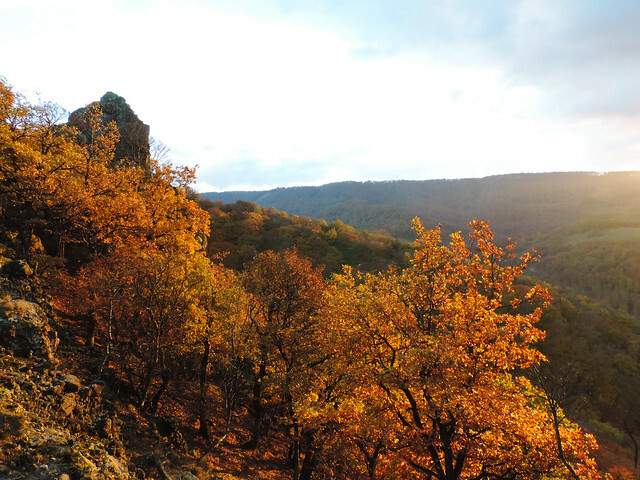 It’s also located in the Pilis Mountains and it’s the only glen hike in Hungary. Okay, it’s not true. 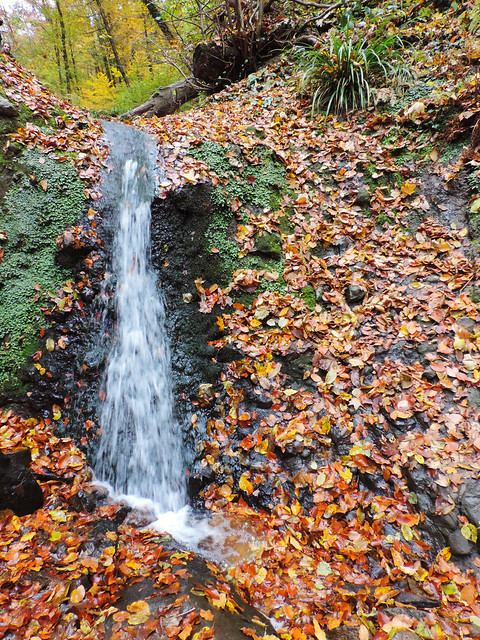 But it’s the only glen where we climb up with the help of chains, iron steps and ladders along a small creek with several waterfalls on the way. It’s the only glen where we really feel ourselves in a glen. And a rather charming one! Rám-szakadék is a one-way trail: only up. The reason is that it’s very narrow and it’s getting more and more popular so that’s the best way to ensure safety. There’s an easy trail in Lukács-árok that we can use to get back to the trailhead. By the way, the trailhead is also in Dömös and the first very short section is the same route that we follow towards Prédikálószék. You can find a map here! Pilis Mountains are not the only place to get views of the Danube Bend. 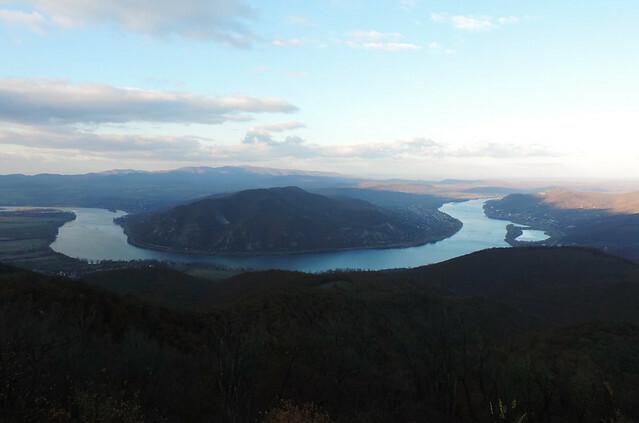 On the other bank of the Danube Börzsöny Mountain has its own viewpoint from a different angle. It’s called Julianus viewpoint and it can be accessed from several smaller towns in the area. We did the hike from Nagymaros and it offered some nice viewpoints on the way, too. But the highlight is Julianus viewpoint itself – a tower offering a 360 degrees panorama over the Danube Bend and the nearby hills and mountains. Csóványos (938 m) is the highest peak of Börzsöny Mountain. It’s accessible on several trails starting from different parts of Börzsöny and it rewards you with a 360 degrees panorama of the surrounding area. Actually, in clear weather we could even see the High Tatras of Slovakia in the distance. But when it comes to recommending a route that’s the best to get to Csóványos peak we get a bit embarassed. We only partly did the first route we chose because of a summer thunderstorm. But it was very nice until Nagy-Hideg-Hegy (Great Cold Mountain) that is the first peak on the way. There we turned back because of the menacing thunders. A mountain peak is the place where we definitely don’t want to be while it’s thundering. Later we tried another route (from the village of Diósjenő) where we got lost several times but somehow succeeded in finding Csóványos in the end. 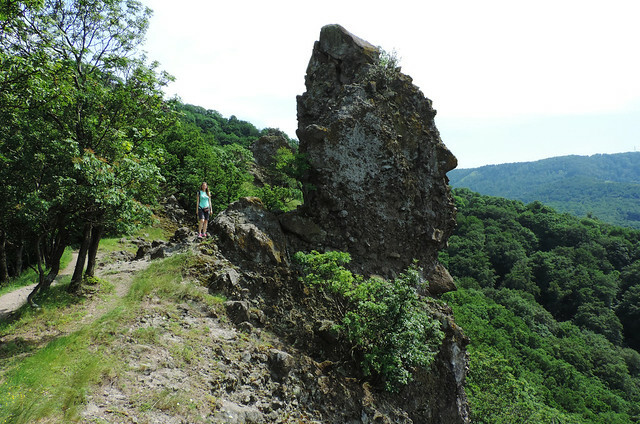 As for getting to Csóványos, we are planning to do the hike through Nagy-Hideg-Hegy again. That’s said to be the most beautiful route. This is the best description we found – in Hungarian. However, you can make use of the map. If we have a full day and we want to see all of our favorite places in Pilis Mountains then we choose a long loop hike through the peak of Dobogókő (700 m). We start this loop from Dömös and climb up in the glen called Rám-szakadék. The next highlights are the viewpoints at Dobogókő. From there we continue towards Prédikálószék. Finally, we get back to Dömös through the mountain ridge called Vadálló-kövek. This loop includes the exact two trails we’ve already mentioned above (Prédikálószék, Rám-szakadék) and it also adds another mountain peak to the game. If you have a day to explore Danube-Ipoly National Park we would recommend doing this loop to see the best of it! Danube-Ipoly National Park is very close to Budapest. Hiking trails usually start from villages and towns, and you can quickly reach any of them by bus. Check timetables and routes here. There is no entrance fee as such to the national park but there are paid parking lots at some of the trailheads. As we live so close by we’ve never booked accommodation in the park. It takes 40-60 minutes to get back to Budapest so it’s a good candidate for a day trip during your stay in Budapest. If you want to spend more time there, you can stay in one of the smaller towns in the area to be even closer – like Visegrád, Tahitótfalu, Zebegény or Szokolya. Danube-Ipoly National Park is beautiful any time of the year. 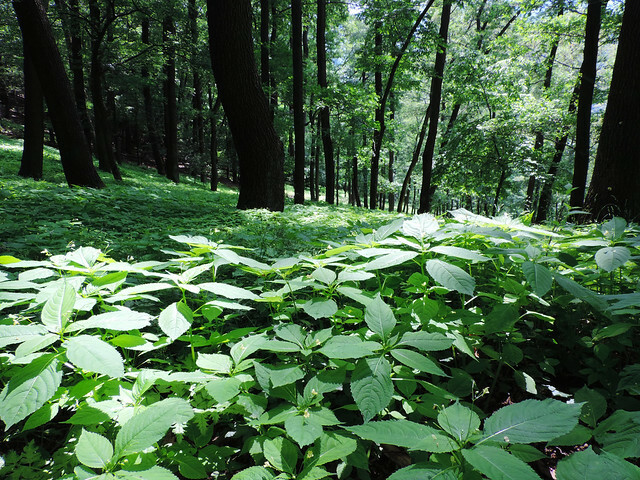 In spring and summer we enjoy the lush green forest and the blooming flowers. In autumn we are amazed by the red and yellow landscape. Winter is nice when there is fresh snow in the mountains. Otherwise the winter landscape is quite grey – trees definitely don’t hide anything then since they are all bald. Have you ever been to Hungary? What is your favorite panorama in your country? Such breathtaking views! I have only been to Danube-Ipoly National Park and we loved the picturesque surroundings of the Danube Bend! perfect for family picnics and stuff.